Mystery Lovers' Kitchen: Please Welcome Hallie Ephron! Please welcome our guest today--Hallie Ephron! 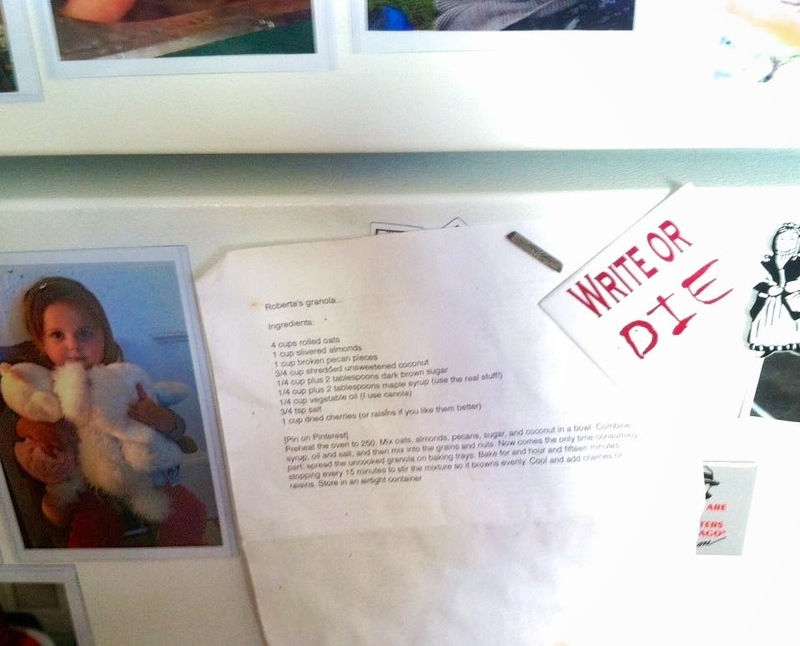 I keep Lucy’s granola on my fridge, in pride of place next to pictures of my grandbaby, held there by my WRITE OR DIE! magnet. Since both my husband and I are hooked on that granola (not too sweet, fantastic ingredients, healthy…) I replenish our supply every few weeks. 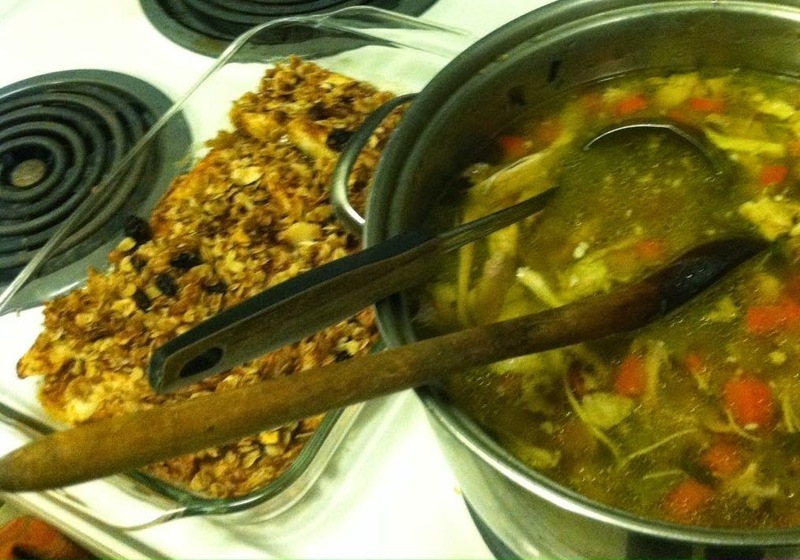 On a snowy day (there was no other kind this winter near Boston) I was making a vat of chicken soup and craving a savory/sweet dessert to go with. Hmmm…. apple pie? I had the apples but wasn’t up for making crust. Then I thought: Not pie. Crumble! My eye caught on the granola recipe and I realized it was the perfect topping. So easy. Especially if you’ve got Lucy’s granola on-hand which we always do. 3. Mix the sliced apples with cinnamon and sugar and transfer to dish. Spread the buttery granola over it. New York Times best selling author Hallie Ephron writes suspense novels she hopes keep readers up nights. 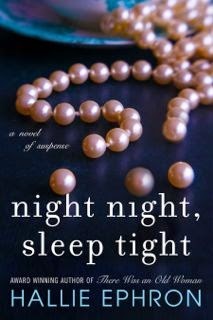 A three-time finalist for the Mary Higgins Clark Award, Hallie’s newest is just out: Night Night, Sleep Tight. Set in Beverly Hills in the 1960s and 1980s, it is inspired by Hallie’s experiences growing up there in a Hollywood family. Visit Hallie at her web site and learn more about her books. This sounds like a delicious recipe anytime. Looking forward to reading your latest release. This looks wonderful, Hallie! I can't wait to try it. Warm with ice cream sounds perfect. Thanks for visiting us at Mystery Lovers Kitchen and congrats on the new book. I'm looking forward to it. Thanks so much for joining us today, Hallie! I've already promised to make this for my husband. One of his favorite desserts is apple crisp and this sounds even better with that nice crunchy topping! Can't wait for your new book! Love your others! What a fantastic idea, Hallie! Very creative of you. I want to know what's in the soup. That looks great, too. And I love that cover! Thanks for this delightful cold weather dessert, Hallie. This winter doesn't seem to be over yet, but you've given us a healthy and tasty way to enjoy that apple a day! A great idea. Thanks for sharing your inspiration.